Apparently there's a rash of Adderall use in tournaments? It's a strange world we live in. We’re almost there. In the distance you can hear the soft whisper of the fall release season. “I’m coming,” says Call of Duty, or maybe it’s Fallout 4, or Assassin’s Creed, or something. Pick your poison. But until then, it’s still boring ol’ summertime. Here’s gaming news for the week of July 20. Remember last week when I said Five Nights at Freddy’s 4 had been moved up to an August release date? Scratch that. It’s available now. With a gun called the “Motherflakker,” where better for 3D Realms/Interceptor to unveil more footage of upcoming game Bombshell than at QuakeCon? We finally have the full details regarding Microsoft’s Rise of the Triad Tomb Raider timed-exclusivity deal. While the follow-up to 2013’s acclaimed reboot will be out on Xbox One at the end of this year, it’ll take until “early 2016” to hit the PC. At least we’re luckier than our PS4 brethren—the game won’t release to Sony fans until end of 2016, thanks to a one-year console exclusivity deal. Can’t wait until November to play the latest Call of Duty? Activision’s giving you the chance to get your hands on a multiplayer beta from August 26 to August 30 on the PC, though there’s no word yet what the beta will contain. Also, the beta’s available only if you preorder, for reasons I’m not entirely clear on. It seems like it’d be better to treat this as basically a demo, right? The way Battlefield does? I guess you could always preorder, play the beta, and then cancel... But you wouldn’t do that, right? Only a very unscrupulous person would do that. 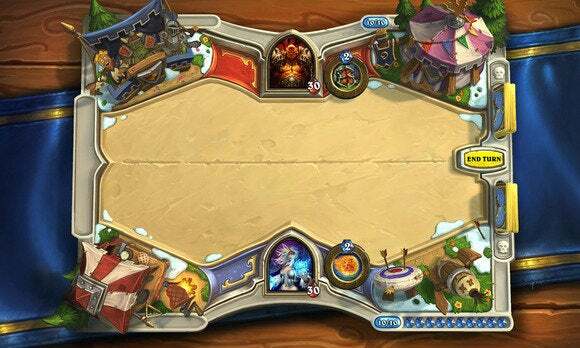 Still hooked on Hearthstone? There’s a new expansion dropping next month, titled The Grand Tournament. Now I’ve seen it all: Esports leagues are about to start testing players for performance-enhancing drugs. No, they’re not using HGH to build massive biceps to hit their mouse buttons harder. Apparently there’s a rash of Adderall use in high-level esports tournaments. The Electronic Sports League is thus partnering with an anti-doping agency to crack down. “The growing visibility and popularity of esports, as well as increasing prize pools, make it not only more tempting for teams and players to break the rules, but also more damaging to our sport as a whole when they do,” said the ESL. This isn’t at all PC-related, but you know I can’t pass up reporting on the silliest video game news. Bethesda’s putting out the entire collection of Fallout titles— in a mini-nuke case. Nvidia’s latest graphics card bundle features Metal Gear Solid V. Hopefully it turns out better than the last promo, Batman: Arkham Knight. Star Wars: Knights of the Old Republic II is a decade old, but that doesn’t mean it can’t get major software updates. Native widescreen, Linux, and controller support hit the game this week. Fighting game vet Seth Killian wants to make the genre more accessible to newcomers with PC-exclusive Rising Thunder. And our 2014 Game of the Year runner-up The Talos Principle got an expansion this week, Road to Gehenna. I love it.